Sisterhood Ain’t What It Used to Be: Meet Triplets Caitlyn Jenner, Rachel Dolezal, and Carrie Bradshaw-Crowther | Call Me "Miss"! Coming of age in the 1970’s I knew one thing for certain: sisterhood is powerful. As a college student, the halls of my university were chockablock with female professors of all ranks, and, in the rarified air of the administration building, women held powerful leadership positions. So I grew up thinking not that women could be anything they wanted to be, but that women actually were being anything they wanted to be. Some 30 years later, it’s gratifying to see that not much has changed. Women can still be anything they want to be. Case in point: Rachel Dolezal, a white woman who channeled her inner sista for power and profit. Sista Dolezal keepin’ it real. I might be one of the very few who think that Miss Dolezal improved her looks when she donned an Afro wig and went crazy with the self-tanner. She also improved her chances for a good job. Eastern Washington University is committed to equal opportunity, fair treatment, and taking affirmative action to increase the number of students and employees from historically underrepresented groups. But, as I have been lectured to by more than one harridan in the last week or so, it’s what on the “inside” that counts. And when I think about Miss Dolezal’s insides, I want to puke. Miss Dolezal used make-up and a made-up racial background to deceive her colleagues at Eastern Washington. This university is under a board of trustees’ mandate to “diversify”–because, you know, diversity is good. The board has gone so far to put the (public) money it controls to realizing the dream of diversity. In competition for this melting pot o’ gold, Miss Dolezal’s European ancestry would put her on the same footing as all of the other descendants of Washington’s German, Dutch, Norwegian, and Swedish immigrants who arrived en masse in the 19th Century, which is to say at the back of the line for grants, scholarships, and jobs. I wonder what the board of trustees is thinking now. What I am thinking is that similar diversity schemes across this great land of ours are about to collapse under a tsunami of applications from white job seekers and grant applicants who have woken up and smelled the grease paint. One imagines that Eastern Washington must be under unimaginable pressure from special interest groups who profit from diversity to get rid of Miss Dolezal ASAP, so that the goodies do not get diverted to unworthy whites. On the other hand, if Miss Dolezal is–as some are claiming–a mentally challenged American, then her behavior will be embraced and her employment status will no doubt stand, as she will be protected under the tenants of the ADA. It’s win-win! But if Miss Dolezal is a winner in the brave new world of sisterhood, Carrie Bradshaw-Crowther, sadly, is not. Miss Bradshaw-Crowther was reported missing by her 22-year-old daughter earlier this week. The daughter made an understandably frantic 911 call to alert authorities that her 49-year-old mother had disappeared just hours before her scheduled C-section was to take place. My pronoun references are correct: the 49-year-old was about to go under the knife, not her daughter. Miss Bradshaw-Crowther poses in a long-sleeved sweater. Caitlyn Jenner, look what you have wrought. This entry was posted in ...in the Work Place, Diversity, Higher Education, Life and Culture, Single Women and tagged Caitlyn Jenner, Carrie Bradshaw-Crowther, diversity, diversity in higher education, Rachel Dolezel, transgender. Bookmark the permalink. When is falsity false? Changing the human condition should not be a selfish act. When it is done for profit. Thank you Miss- I was delighted to see you had weighed in on the subject. Nice to hear from you–it’s been a while! And dating a women his age who lives 1,800 miles away. And gearing up to, maybe, be Mr. Mom again as the former Mrs. standup has cancer. 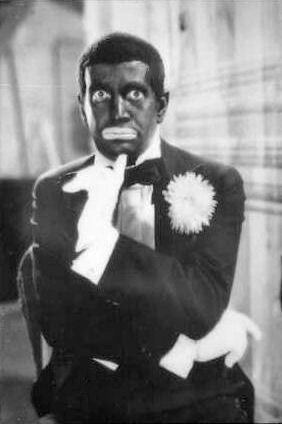 We now have new-found respect for Al Jolson. Have you caught up with this tidbit? I do admire someone who unabashedly games the system..